The EBow is a hand-held electronic bow for guitar. This small battery-powered unit replaces the pick in the right hand letting the guitarist mimic strings, horns, and woodwinds with unbelievable sensitivity. The EBow produces a powerful infinite sustain,rich in harmonics for incredible guitar sounds. Unlike plug-in effects, the Energy Bow does its work on the string itself... Direct String SynthesisT. Infinite Sustain is just the beginning. 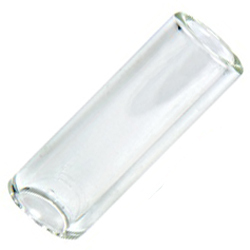 Dunlop Tempered Glass Slides offer a warmer, thicker tone accentuating the middle harmonics of your sound. Processed from high quality boron silicate. Heat treated and annealed for a flawless tube. Size is 18 x 22 x 69mm. Dunlop Tempered Glass Slides offer a warmer, thicker tone accentuating the middle harmonics of your sound. Processed from high quality boron silicate. 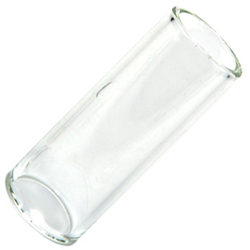 Heat treated and annealed for a flawless tube. Size is 22 x 25 x 69mm. Dunlop Tempered Glass Slides offer a warmer, thicker tone accentuating the middle harmonics of your sound. Processed from high quality boron silicate. 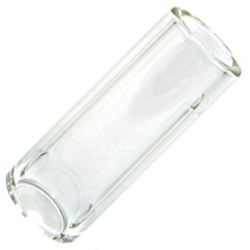 Heat treated and annealed for a flawless tube. Short knuckle design. 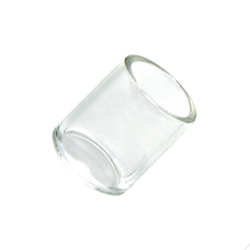 Size is 20 X 25 X 28mm. Dunlop Tempered Glass Slides offer a warmer, thicker tone accentuating the middle harmonics of your sound. Processed from high quality boron silicate. Heat treated and annealed for a flawless tube. Slightly thicker wall than the Dunlop 202 (our number 02154). Size is 20 X 25 X 60mm. Dunlop Tempered Glass Slides offer a warmer, thicker tone accentuating the middle harmonics of your sound. Processed from high quality boron silicate. Heat treated and annealed for a flawless tube. Size is 17 x 25 x 69mm. Dunlop Tempered Glass Slides offer a warmer, thicker tone accentuating the middle harmonics of your sound. Processed from high quality boron silicate. Heat treated and annealed for a flawless tube. Size is 23 x 32 x 69mm. Dunlop Tempered Glass Slides offer a warmer, thicker tone accentuating the middle harmonics of your sound. 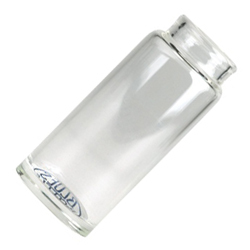 Processed from high quality boron silicate. 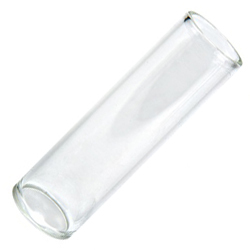 Heat treated and annealed for a flawless tube. Size is 20 x 29 x 69mm. 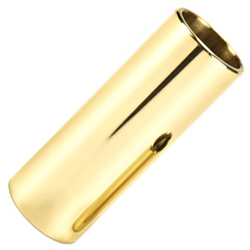 Brass slides have been preferred for decades for their warm, resonant tone and authoritative mass. Great for coaxing thunderous volume from acoustic guitars. Medium wall thickness. Size is 19 x 22 x 60mm. Brass slides have been preferred for decades for their warm, resonant tone and authoritative mass. Great for coaxing thunderous volume from acoustic guitars. Heavy wall design. 22 x 29 x 60mm. The added density of porcelain provides a tone that is warmer than glass and brighter than brass. The thicker walls provide sustain and a comfortable heft. 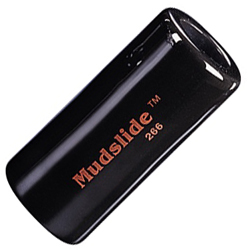 The Mudslide's silky interior absorbs finger moisture to reduce slipping. 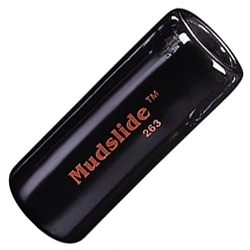 The Blues Bottler slide will take you back to pre- Depression Mississippi, where Blues Masters used medicine-bottle slides to form the roots of modern day blues. 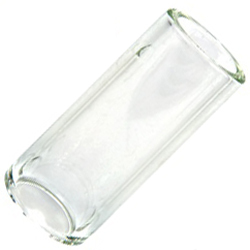 Blues Bottler slides are individually hand blown of durable, seamless Pyrex glass for a crisp, bright tone. The weighted, closed ends provide optimum balance.